Join us as we perform at the Atrium in City Hall, Thursday April 28th. 7:00. No admission. Our Dancing for A Cause 2019 Benefit Show will be on Saturday, May 4th, 7:00pm at Aquinas Institute, 1127 Dewey Avenue! Proceeds to benefit Gigi's Playhouse. Ticket donation is $8.00. Dance Connection provides the entertainment and will have over 100 raffle items! Dance Connection has contributed over $110,000 to local charities. Our 2018 benefit for Jack's Foundation raised $7200. Our 2017 benefit for The Hickok Center for brain injury raised $9000! In 2016 Dance Connection donated $7200 to IACKids to provide financial assistance to families in need while children are in long term treatment (iackids.org). We also donated $5,000 to Light the Night (research for blood diseases). Thank you to the community for donations! Received this great email this morning! 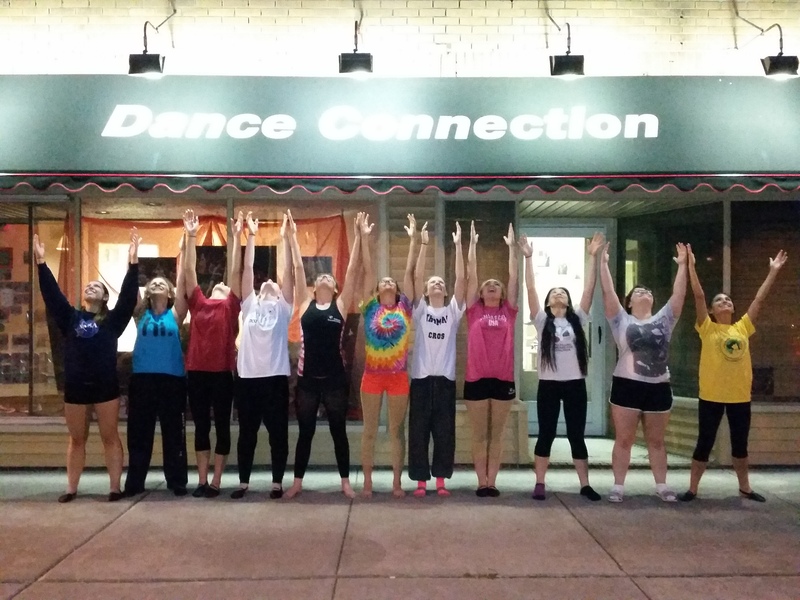 "Thank you for a great first day at dance yesterday! Sienna told us this morning, "I want to dance forever." She loves your studio, and we do too!" Join us Saturday, September 15th at Linear Garden, as we perform for our neighborhood! In May, we will be entertaining the seniors at St. Ann's Nursing Home & Elder Care Senior Community. Children of all ages will be putting smiles on senior's faces. Giving back to our community is what we instill in our students. Join us as we perform at the Atrium at City Hall, Wednesday, April 26th at 7:00pm. Free admission! ~~So this maybe a little sappy... But here we go. We are in recital week for Adele. We are quickly approaching her first dance recital and my heart is jumping with joy. At the same time I am watching pictures and stories come through of my old studio as they too are wrapping up the dance season. It's a crazy feeling thinking about the first kids I taught at age 3 and now they are going off to college AND my own daughter is approaching her first recital. No matter how many years or states are between us, I will always be a DC girl and have such great memories of all my fellow DC girls. Denise, thank you for passing along the love of dance, which I so enjoy seeing in my own daughters face. Man, recital week has me really sappy and we haven't even gotten to see Adele dance yet. There are happy tears in my future for sure. It’s hard to believe all these years flew by so quickly. Many of us will say your studio and entire team has been like family to our kids through these past several years. It will be a very emotional day for all the seniors and parents. You not only teach our kids the structure of dance but to always have fun and most importantly how to give back to the community. You and your staff will be greatly missed! Join us as we entertain at Gates Chili Service Club benefit on Friday, May 29th at 7:00 & St. Rita's Fiesta on Saturday, May 30th at 3:30! Several of our students received scholarships at a recent dance convention. They were recognized for their hard work and enthusiasm during the convention by the master teachers. We are proud of them and all our students that participated in this recent event.